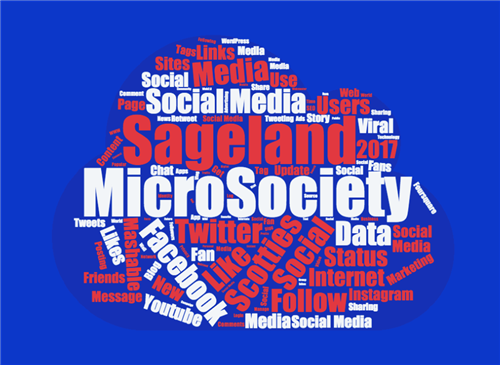 Welcome to Sageland MicroSociety Elementary School's website! 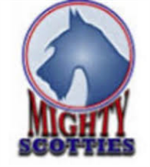 Sageland MicroSociety Elementary School is the only school in the El Paso area to provide a fully integrated MicroSociety curriculum that maximizes staff, faculty, student, parental, and community participation. Setting foot on our campus reveals a warm, caring unconventional child-centerd world unlike any you have ever experienced before. As you walk our halls, you will notice the colorful teacher created murals that display student work and entice you into their classrooms where a friendly, cooperative, and safe environment encourages students to be risk-takes who take responsiblity for their learning by working in centers or choosing from a daily menu of activities. Beyond the traditional classroom setting your will find an array of learning opportunities that are molding ethical, responsible, problem solvers, empowered to meet the challenges of the new millennium! In 1990, Sageland began its journey from a traditional school to a 2lst century learning organization. The journey began with the physical transformation of the building which continues this day. The following year began the ultimate challenge of internalizing the conviction that all children can and will learn. This led to the embracing of the Accelerated Schools philosophy. In 1992, Sageland received a grant for $192,00 to a build an 3,500 square feet site to establish a schoolwide MicroSociety program. This catapulted us to becoming entrepreneurs in the field of education where our journey's course was forever altered. Therefore, we are commited to providing innovative, powerful learning experiences to accelerate our children into the new millennium. Today, Sageland MicroSociety Elementary School is a nonconventional school-wide learning site where students and teachers, along with parents, community members, and school staff create learning experiences that reflect the American democratic free enterprise system. All students in Grades K-6 provide services, produce goods, elect venture and agency officers, make and enforce laws, and collect and distribute taxes. While running and operating businesses and governmental agencies, students pay rent and operate businesses by creating their own unique business plans. Micro Bucks are used to pay for attendance and various jobs. After paying taxes, rent, and operating cost, students take on the role of the main consumers in the MicroSociety marketplace on their days off. Mission Statement: We, as educators, will develop a safe, collaborative environment that engages, supports, inspires respectful, responsible students to learn the Texas Knowledge and Skills. Vision Statement: The Sageland MicroSociety Community will inspire all students to become self-motivated learners and develop 2lst Century skills through real world scenarios. The Micro "Mindset:" We will develop each students' pride in learning by cultivating a positve attitude with excellent work habits. I am somebody. I was someone when I came. I will be a better somebody when I leave. I am poweful and I am strong. I deserve the education that I get here. I have things to do, people to impress, and places to go!